Named after the English city which first staged such a foot race, the Bay Sheffield is a handicap sprint event. Held around Proclamation Day- 28th December- on Glenelg’s Colley Reserve and organised by the South Australian Athletic League, this is its 128th year. Runners of all ages and abilities wearing bibs resembling the colours of snooker balls to denote their handicap- black, pink and brown having the greatest head start- compete for cash prizes over 70m to 1600m. With 850 participating athletes, only one can claim the biggest prize, the 120m Open Bay Sheffield Gift, this year won by John Jakeman in the red (lowest handicap) bib. I watched from the beer tent. See also 178th Proclamation Day. 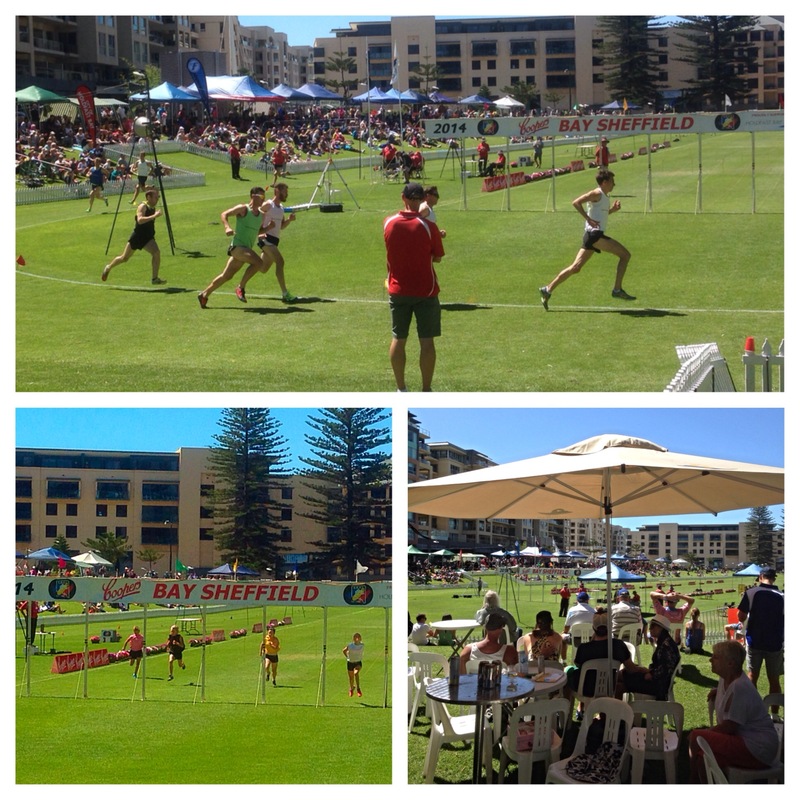 South Australian Athletic League- www. saal.org.au.